I’m not sure what actually led me down the Michael Jackson YouTube rabbit hole at 11pm last night. It might have been the fact that I recently purchased tickets for to see his sister Janet at the Amp in NW Arkansas in July. Or maybe it was because I stumbled across a video of Michael and Britney Spears performing together in 2001 (video at the end of the post). I had no recollection of their duet to Michael’s song “The Way You Make Me Feel.” Michael crushes his 1987 hit while Britney does a good job strutting across stage I guess. Whatever the reason, I watched about 30 minutes of any live Michael Jackson videos that popped up on my screen. As a performer, he was unmatched. He was a talent that comes around once in a generation. My dad commented recently that as people get older and pass on, many times it’s those people who really understood the greatness of their era in terms of witnessing talent in the entertainment world (sports, movies, music, etc.). I think it’s especially true in the older eras where video was very limited (think 1950’s and 60’s especially). Next June it will have been 10 years since Jackson passed away. 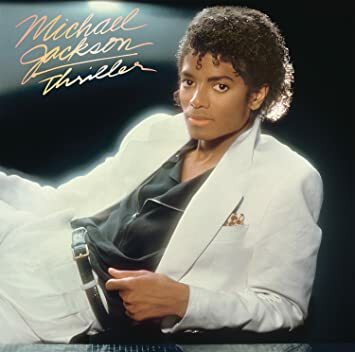 But back in the winter of 1982, I was just 11 when Michael Jackson (then 24 years old) was beginning his ascension to the title as the undisputed “King of Pop.” His album “Thriller” was released at the end of November in 1982 and it wasn’t long before I owned the cassette. I received it as a Christmas present at my grandma’s house in Tulsa that year, and it wasn’t long before I began my quest to be the best damn Michael Jackson impersonator in the family! “Billie Jean” was the second single released in January of 1983 and in May 1983 I was barely 12 when he performed the song “live” on a tribute to 25 years of Motown. He appeared on stage with his signature white glove, his hat, and his black pants purposely tailored too short to show off his white socks. And, oh the shiny sequins! They were all over Michael, and somehow it looked very normal. Well, it didn’t take me long to have my own white glove and hat and a black jacket. I would wear my penny loafers and roll up my black slacks to display my white socks, but I didn’t have any sequins, which is probably a good thing for me at that time. I would wet my dark curly hair just to see if I could get any of the curls to drop down the front of my face, and I would cue up Billie Jean on whatever cassette player was available. It was during that live “Motown 25: Yesterday, Today, Forever” performance that Michael performed a dance move called the moonwalk. Variations of the move had existed for many years, but the performance became a pop cultural event, and that move would become one his signature moves for live performances of the song. When he did the moonwalk (he did it twice during the song) I stared in disbelief. What just happened!? He looks like he’s walking forward, but he’s moving backwards! Impossible! My twelve year old head almost exploded and I, along with every other MJ fan in the world, had to learn to moonwalk! I actually saw the “how-to” on a book or a magazine somewhere not too long after that and practiced it until I could do it. I was a very average moonwalker, but an average moonwalker still made me the best moonwalker in the family! If you’ve never seen or haven’t seen that historic performance in quite some time, here it is in all of its’ lip-syncing glory. No one even cared that MJ didn’t sing it live. There was just something magical about his presence and the way he moved. The moonwalks are brief and they happen at the 3:39 and 4:34 marks if you don’t want to watch the whole song. You can hear some of the girls scream when he does the first one as I’m sure they didn’t know exactly what he was doing either, but they knew it was extraordinary. And it was. It was Michael. Oh how I was going to break the young girls’ hearts! So with a very average moonwalk in my MJ repertoire, this skinny white boy was ready to perform! I could spin. I could land on my toes, and I could kick my leg out like Michael. I could thrust my pelvis to the beat at the beginning of the song. I had the wardrobe less the sequins. Mind you the performance was probably very average or below average, but in my mind I was practically Michael’s dancing twin! All I needed was an audience, and my younger cousins and sister became the first to see my almost identical Michael Jackson moves. I performed the act a handful of times in front of them and whatever other family members I could drag into the performing area. Those members typically consisted of my parents, my grandma, and whatever uncles and aunts were around at the time. They oohed and ahhed and clapped and whistled and encouraged every spin move and every moonwalk. As far as I know, there are no videos or pictures of my Michael Jackson recreation which I performed on numerous occasions throughout 1983. That is both good and a little disappointing at the same time. Maybe somewhere in some family member’s photo album exists a picture of me in all of my MJ glory, but until that photo surfaces the memory will just have to exist in my head, and now in yours too. “Billie Jean” has always been my favorite MJ song. The song was a huge hit in 1983 hitting #1 not only in the U.S., but in many countries around the world. It stayed atop the top spot on U.S. Billboard Hot 100 for seven weeks. 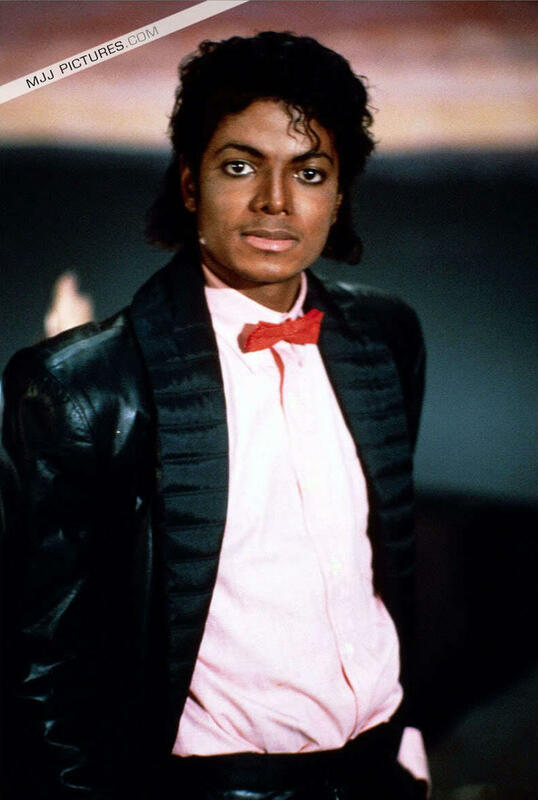 The video for “Billie Jean” became the first video by a black artist to be shown in heavy rotation on MTV. At the time, MTV was barely two years old, and considered more of a channel for rock music. Jackson and “Billie Jean” broke that mold and expanded MTV’s reach. I hope your steps light up someday when you’re walking down the street. May you never forget the greatness that was Michael Jackson, and should our paths cross, I will always accept your moonwalking challenge. This entry was posted in Uncategorized and tagged Billie Jean, Britney Spears, dance, King of Pop, Michael Jackson, moonwalk, Motown, Motown 25, The Way You Make Me Feel, Thriller. Bookmark the permalink.